Officials working for the Ministry of Health have engaged in setting up fake bank accounts to receive hundred of thousands of dollars in bribes and have directly told businesses that government contracts could only be secured if large sums of cash were paid to individuals, a report by the Global Fund to Fight AIDS, Tuberculosis and Malaria found. The report, released Friday, implicates senior officials of the National Center for Parasitology, Entomology and Malaria Control (CNM) and the National Center for HIV/AIDS, Dermatology and STD Control (NCHADS), both arms of the Ministry of Health, as well as Medicam, an umbrella network of health NGOs, of participating in a network of bribery, as well as double- and triple-charging donors for the same expenses. “The investigation has identified sufficient credible and substantive evidence of corruption, procurement irregularities, and misuse and misappropriation of grant funds,” the Global Fund’s Office of the Inspector General (OIG) said in the report. “The OIG finds that expenses of grant funds amounting to USD 12,104,761 were compromised,” through practices such as inappropriate facilitation payments to secure contracts, other procurement irregularities and outright deceit. The principal recipients of the more than $12 million in finds were the Ministry of Health and its NCHADS and CNM branches, according to the OIG. 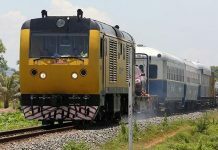 The report also found cases of incomplete or missing government procurement files, missing bank statements from accounts, information withheld by Acleda Bank PLC and the Foreign Trade Bank of Cambodia regarding possible misuse of funds, and other missing or unsupported documentation of expenditures. “As a result, out of approximately USD 220.3 million of expenses [in Cambodia], supporting documentation relating to approximately USD 86.9 million was made available to the OIG and subsequently reviewed,” according to the report. This meant that more than $133 million in funds to the ministry could not be properly reviewed, the report says. The report does not directly name any of the officials involved in the corruption. 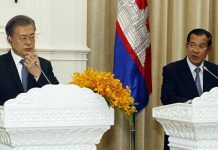 But it does state that the main recipients of hundreds of thousands of dollars in bribery money paid by two companies providing mosquito nets to the ministry were the CNM’s director who retired on May 1, 2011—Duong Socheat—one of the CNM’s deputy directors, who is only identified as being a woman and having left her position in September, and an unnamed official at NCHADS, who was senior procurement officer until he left his position last year. According to the report, the former CNM director—Mr. Socheat—and his deputy director, operated a scheme in which the Swiss firm Vestergaard Frandsen and Sumitomo Chemical Singapore, both suppliers of mosquito bednets, paid so-called “commissions” to secure contracts with the Ministry of Health. More than $410,000 in bribes was paid to Mr. Socheat and his deputy, according to the OIG report. “A fictitious local consultancy arrangement was established in order to disguise the true nature of the payments and their ultimate beneficiaries. These facilitation payments were executed through international bank wire transfers to these officials personally, or to their designees,” the report states. While Sumitomo paid bribes to both Mr. Socheat and the former female CNM deputy director, Swiss Vestergaard Fransen only paid bribes to Mr. Socheat. “In total, the evidence shows that CNM’s Director received USD 350,904 and the Deputy Director USD 59,809 from these Suppliers [Sumitomo and Vestergaard],” the OIG said. The two companies spent an additional $20,000 on other gifts and payments to Mr. Socheat, his family members and other unidentified officials at CNM. These payments and gifts, OIG said, further ensured the companies’ bednet contracts. The majority of the payments went to a bank account held by a consultant or agent of whose existence the OIG could not find any evidence. The report notes that the female deputy director was removed from her position as a direct result of the Global Fund’s corruption investigation in September, and points out that CNM’s current director, Char Meng Chuor, is in no way implicated in wrongdoing. 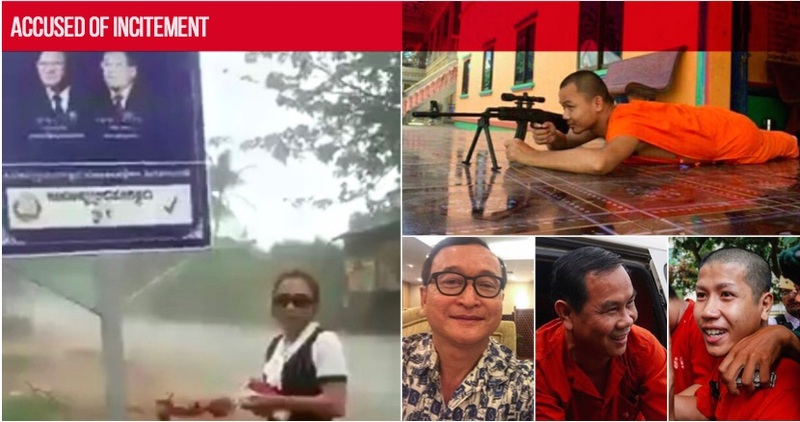 Mr. Meng Chuor could not be reached for comment, but said in a statement Friday that although the practice of bribery was against the law, he maintained that the civil servants who took the massive bribes in return for securing government contracts had done no harm. “[T]he investigation does not conclude that the prices charged for all of the mosquito nets at issue were higher than market value,” he said in a statement. “Therefore, I see that the improper commission payment suggested by OIG have not influenced improperly the bidding processed [sic] carried out by any parties,” he added. Mr. Socheat could not be reached for comment, while other government officials declined to comment or referred questions to Minister of Health Mam Bunheng, who also could not be reached. According to the detailed report, another senior official at NCHADS had manipulated procurement contracts worth about $317,000. The official had demanded payment of up to 15 percent of that total in return for securing the contracts for the firm willing to pay him his required kickback. “The procurement officer admitted that he required these payments from vendors to secure contracts and other favors and acknowledged spending the funds on cars and other personal items,” while he was managing non-Global Fund related procurements. OIG also found that third party vendors submitting bids also altered their quotations in order to enable the procurement officer to choose the vendor he had struck the kickback deal with. The OIG also found that Medicam allegedly hired two staff members, a training assistant and a HIV/AIDS coordinator with Global Fund donations provided through NCHADS, who did not exist as such but were accounted for in fictitious documents sent to OIG. Medicam also received payments of the same fictitious staff salaries from other donors. “As a result of Medicam’s deceptive conduct, The Global Fund grant was improperly charged USD 20,725 for staff positions that were not filled,” the report reads. In October 2012, Medicam told the OIG in a letter that two staff, one for the position of training assistant and one for advocacy consultant, had been hired with Global Fund grants. In July, however, it said that it had not employed a training assistant, and that the staff member who was holding the position was another advocacy consultant. “In light of the evidence and Medicam’s production of conflicting and false explanations and documented evidence, the OIG finds it difficult to accept Medicam’s actions as management ‘missteps’ rather than intentional efforts to mislead its donors and the OIG,” the report states. Sin Somuny, executive director of Medicam, said that office staff had accidentally sent the wrong documents to the OIG. “No there is no making up, there was nothing made up it was just a confusion by one of our office staff… she is very busy and confused the documents,” Mr. Somuny said, adding that Medicam had explained this confusion to the OIG, and that he did not know why his organization was being accused of misconduct. “We have the global fund budget line that says [funds are to be used to hire a] training assistant. When we hired the staff, we hired them as advocacy coordinator. And that was confusing for them [OIG],” Mr. Somuny said. Other staff were promoted and costs of some staff were carried by two donors because the salary expenses could not be carried by one, he said. “For example, her salary is $800. We used $575 from Global Fund and then we charged $225 from another donor to have the complete set of $800,” he said. Ahead of the release of the report, Global Fund said that it had suspended all contracts with the mosquito net suppliers Sumitomo and Vestergaard Frandsen; neither of which replied to requests for comment. However, both companies have said that they object to being held liable for the improper payments by an individual in their employment, according to the report. 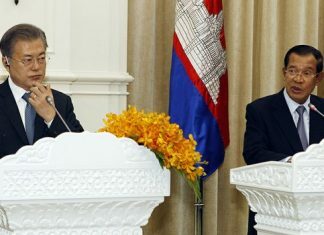 Government officials said last year that the Global Fund had handed over the management of its grants to Cambodia, which amounted to a total of $220 million between 2003 and 2010, to the UNDP. The UNDP on Friday said that it had not managed any of these funds.